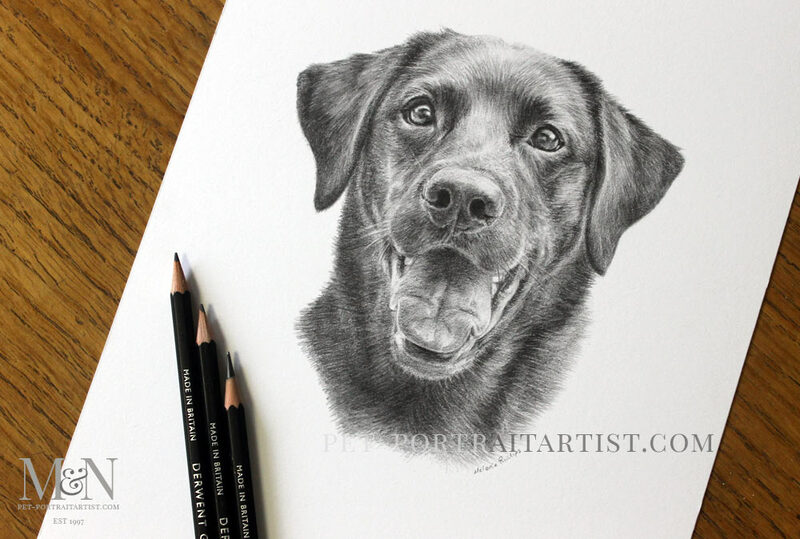 Welcome to my Pencil Pet Portrait of Tess, a very happy Labrador. 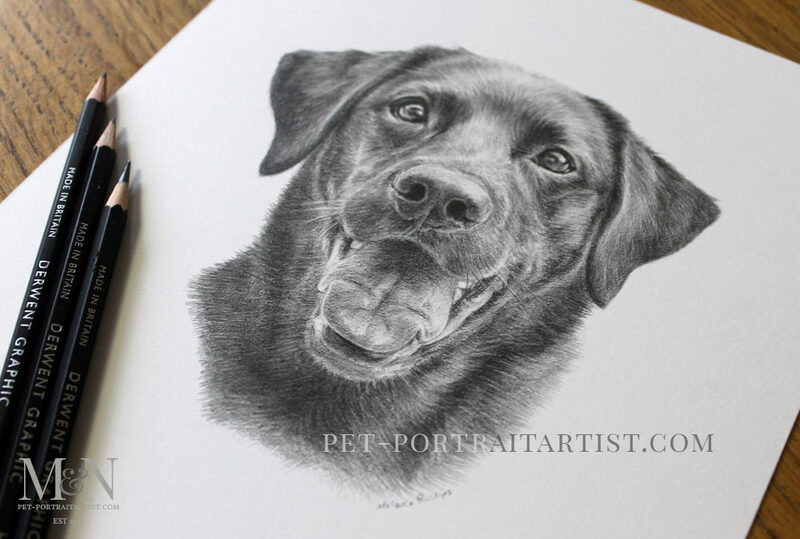 The portrait of Tess was commission by a returning client who wanted a drawing of her sisters dog. They were heading over to Spain where Tess lives and wanted to give it as a birthday surprise. 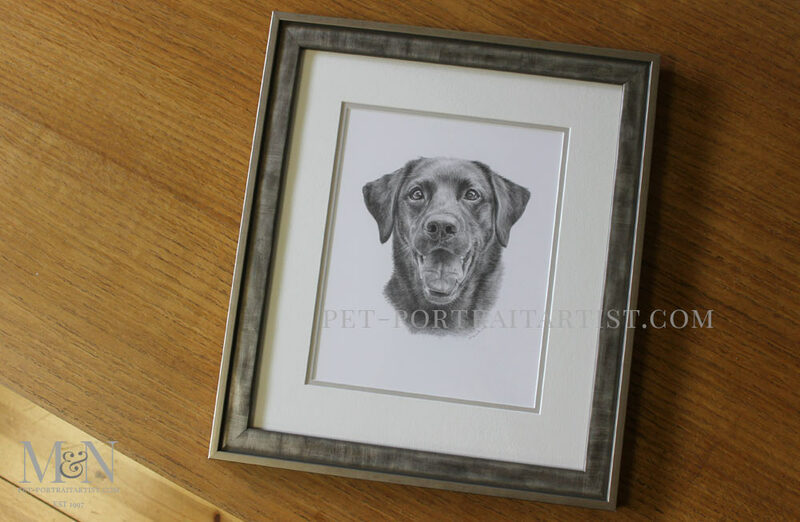 Therefore I managed to get the portrait all completed and framed just in time for their holiday! Katie emailed when she returned from Spain to let us know her sisters reaction. Katie commissioned the portrait of Oil Portrait of Maco, Rex & Rosie. 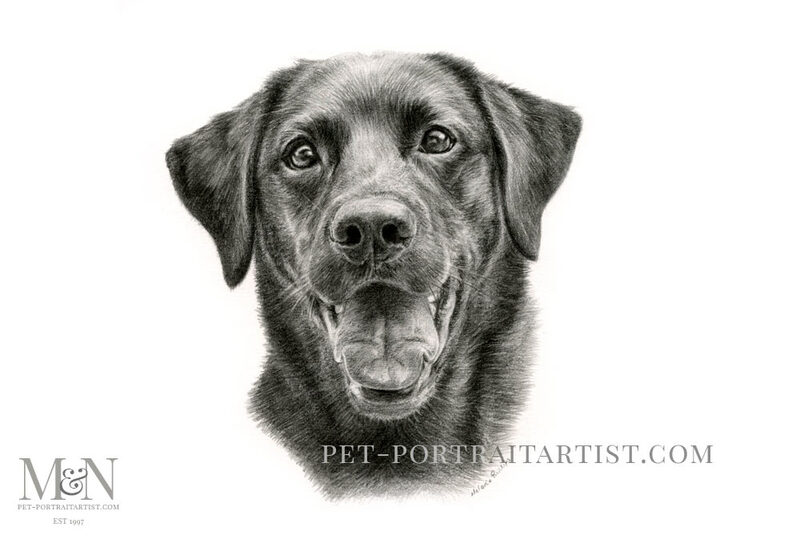 They were three labradors in the garden which you can see on their own blog page. She also commissioned the oil painting as a surprise gift for her husband. Happy clients are our top priority. Just a note to let you know that my sister was thrilled with Tess. When she opened it she said straight away – Tess! So thanks so much! 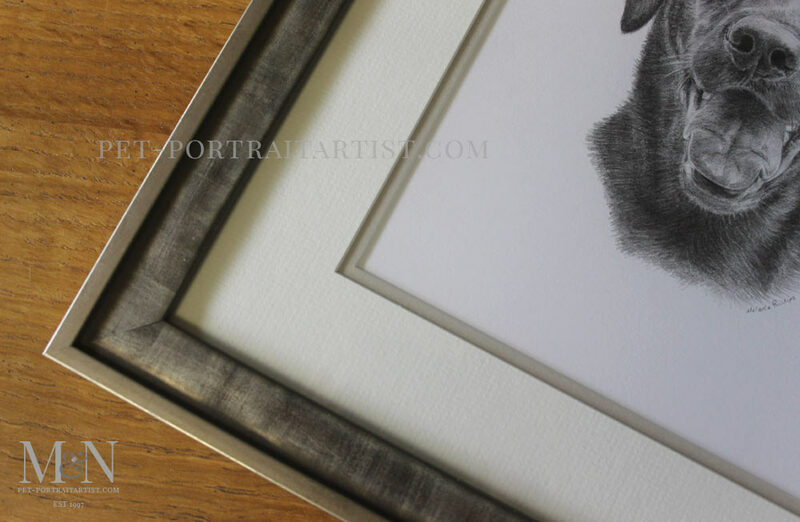 In conclusion, the portrait was framed by our lovely framer Amanda and my client chose the Sandringham frame with the Hayseed double mount with pale grey inner mount. 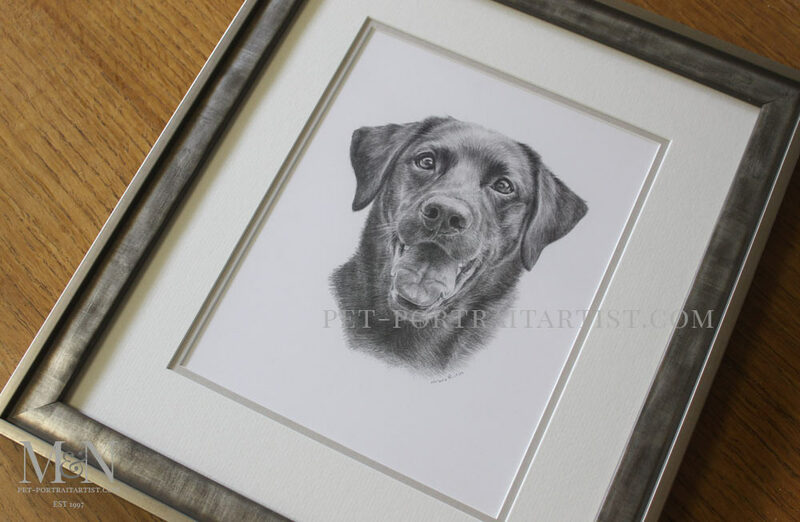 The colours of the mount are just perfect, it is overall very natural and compliments not only the frame, but the tones of the portrait too.